Millions of Americans suffer from restless, uncomfortable sleep, and poor body support at night may be the cause of the problem. Aligning your body the way nature intended can minimize tossing and turning, relieve aches and pains and alleviate morning stiffness, helping you feel better all day. Dr. Scott Donkin, an ergonomic specialist from Lincoln, Nebraska and author of two books, “Sitting On The Job” and “Sleeping Fit,” says that the importance of leg support at night is often overlooked. “Stress and discomfort often result from the upper leg and knee being unsupported during side sleeping. The sleeper instinctively shifts the upper knee forward, causing the hips and spine to rotate, putting a twisting force on the lower back. This often leads to low back pain at night and can aggravate an existing condition. Proper support is important for good sleep. 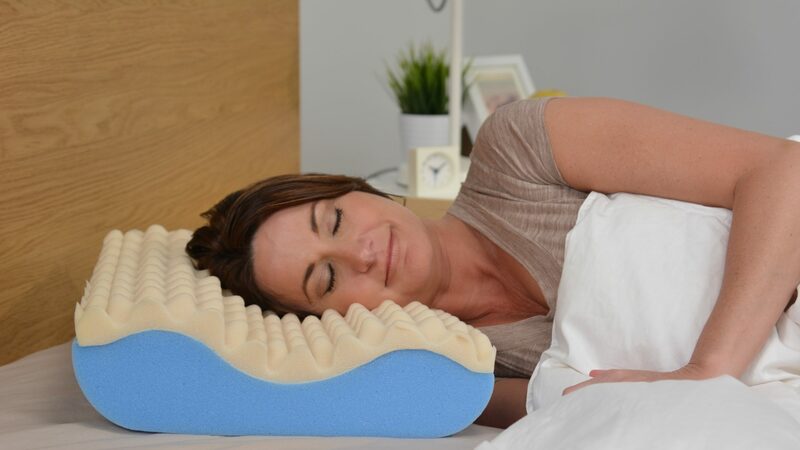 Using a leg pillow like this one from Contour Living is an easy, low-cost way to help relieve back, hip and leg aches at night. For more information, visit www.contourliving.com, www.sleepfoundation.org and www.nih.gov. More and more consumers are recognizing the effectiveness of sleep support and alignment products. Memory foam leg pillows help reduce strain on the back, hip and knee joints. Learn more at Our Contour Store.